Tiny Garden Offices built in Surrey - The Tiny House UK "Office". More and more people are working from home these days and quite rightly need their own private space to work. Apart from building Tiny Mobile Offices that can be transported to a new location, we also build static ones on site in your Garden in Surrey. 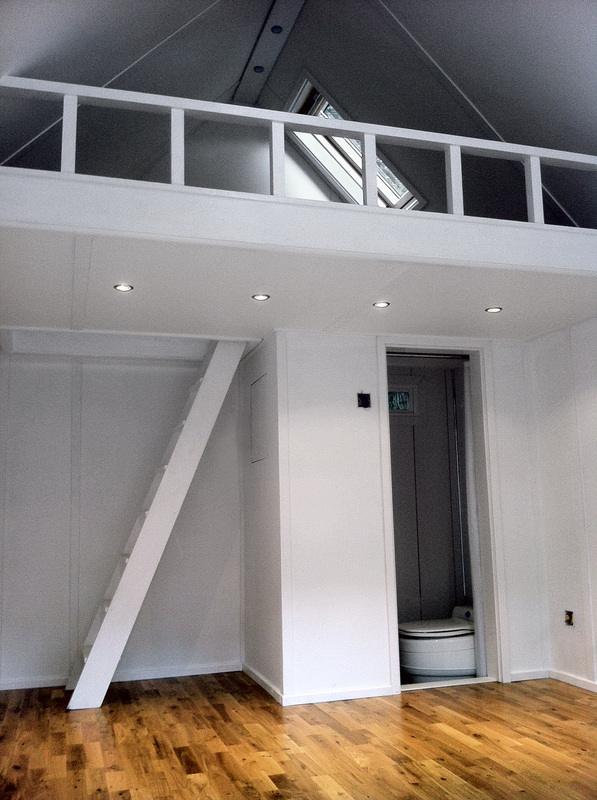 They are fully insulated, can be built to any design you require and fitted out with just about anything you need. Kitchen area, small shower room, WC even a loft area that can easily fit a blow up double bed! 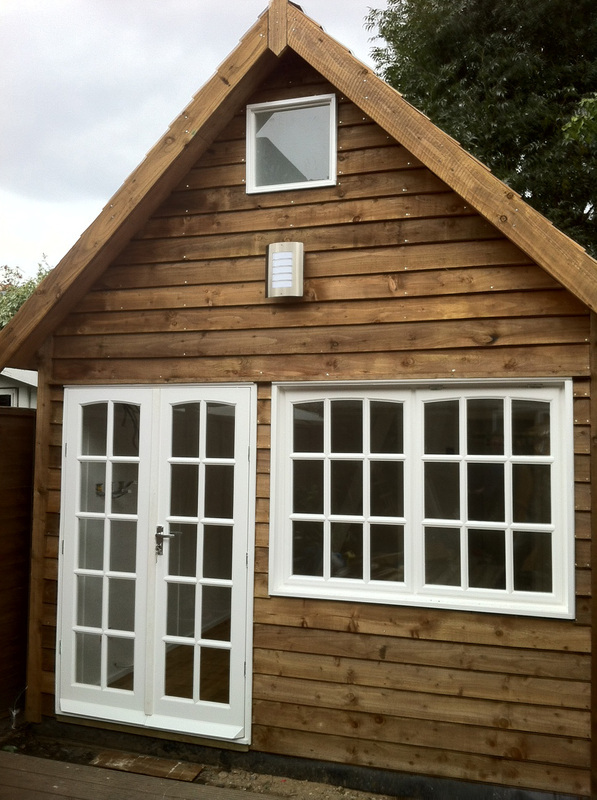 Get in contact for a quote and we will build you a fantastic Garden Office in Surrey. You will soon be able to work in your own private space. Garden office, fully insulated with shower and WC.